At that moment I had no clue that other momentous events involving sexual assault and harassment by U.S. Navy and Marine aviators who were members of the Tailhook Association had taken place the month before at their convention in Las Vegas. These events would ultimately propel our “edutainment” methodology into the limelight. The embryonic idea that formed during the Thomas–Hill hearings took root. I left the theater to explore entertainment as a vehicle for workplace education. Friends of mine in human resources, where sexual harassment was now a hot topic, were eager for innovative methodology. An HR manager in San Diego put together a focus group to try it out. I teamed up with a lawyer/actor, we wrote and performed three issue-packed episodes, and the HR manager facilitated discussion around our “living hypotheticals.” The engagement and participation were off the charts. The concept had legs. In 1992, the Tailhook scandal erupted. Lt. Paula Coughlin, a victim of sexual assault at the convention, went on television and told all after she reported the wrongdoing to her superiors and was unceremoniously shut down. Repercussions from the Tailhook scandal were seismic, particularly in San Diego, where many of the alleged perpetrators were based. The Navy declared a stand-down day when 4,000+ personnel would gather at the Convention Center for eight hours of sexual harassment awareness training led by retired Navy Commander Dr. Kay Krohne. An attorney in my orbit knew Dr. Krohne and connected us. Facing 4,000 military folk who didn’t want to be there for eight hours with only a podium and projector was a daunting prospect, so our collaboration was welcome. I wrote — and an ensemble of professional actors and I performed in — a series of realistic, hard-hitting, nuanced scenes evoking the military workplace — with just the right amount of humor to get the medicine down — providing living, breathing examples to explore and assess. Requests for this unique training poured in. We became road warriors with Dr. Krohne and in smaller sessions, many of which were at the U.S. Office of Personnel Management in Denver, the methodology was honed, our subject matter expertise grew exponentially, and we developed the foundational constructs that today define our signature training. My co-trainer and I became recognized as accomplished facilitators and subject matter experts on our own. In 1994, harassment took another giant leap into the collective psyche and created a national showcase for our rapidly evolving “edutainment” concept. Court TV, started in 1991, was now a ratings giant. When a prominent partner at Baker McKenzie, then the world’s largest law firm, was accused of forcing himself on a female subordinate, part of a pattern of bawdy remarks and clumsy gropings, he faced off in court with his accuser and it earned prime coverage on Court TV. Their producers caught wind of our training and we wrote and performed a compelling dramatization for their coverage of the case. Shortly thereafter, we launched a groundbreaking, decade-long collaboration with Littler Mendelson, wrapping our methodology around dozens of employment law topics, and providing scripted episodes and interactive segments for Littler client training. Each year at the Littler Employer conference in Monterey, we did a deep dive into the “new new things” with the visionary attorney, Garry Mathiason, providing an “edutainment” tapestry for his general session. Out of that collaboration came a quintessential example of the power of “edutainment” — a three-day total immersion frequently compared to training maneuvers with live ammo! Following are some snapshots of the “Edutainment” experience. On the morning of the first day, 20 to 25 managers and supervisors from across the country file into a break room, get coffee, and grab a seat. What they don’t know is that among them are two of the five professional actors specializing in interactive training whom they will meet as “witnesses” in an “investigation” over the next three days. After introductions, one of the attorneys leading the program tells everyone that for the next three days they are no longer who they are with their actual employers. Instead, they are collectively the HR manager for a fictional company for which the leader provides a little history: It was a start-up and now, with explosive expansion, there are growing pains, problems with the culture, and issues involving misconduct, power abuse, and the like. An org chart is passed out and the attorney starts profiling key players, including a rock star female sales executive named Diane Donnally. Reference is made to a situation between Diane and one of the company’s founders. DIANE: … Excuse me.… I’m sorry to interrupt. It will only take a minute. If you’re going to talk about me, there’s something I need to say.… It’s really important. Not just to me … to everyone here (moves to the front of the room). I’m Diane Donnally. And what the attorney said about the problems here? That’s exactly what’s happening (emotional). I … personally … am in the middle of a really miserable situation … with David Burton, one of the company’s founders. I’m a really strong person, OK? I thought I could handle anything. Believe me, in this industry you learn how to get along with aggressive men. But this … (more emotional, verge of tears) nothing I knew how to do made it stop. So I had to file a complaint. About Burton. I examined my options and none were left. He’s got a lot of power in the company. I’m scared about what this will do to my career, and you have no idea how important that is to me…. Now another actor, playing Jason, Diane’s colleague, pipes up and makes his way to the front of the room. JASON: Diane, can I ask you something? (to audience) Hi everyone, I’m Jason Richards. I work with Diane. (to Diane) Don’t take this wrong. You know I’m always on your side, but … you always seemed fine with Burton. I mean, he is who he is. Now Diane’s complaint is distributed and the attorney reviews it with the group. It details ongoing harassment and possible assault at a conference in Vegas. After an overview of investigative procedure, small groups are formed and assigned to rooms where they plan and conduct their investigation over the next three days. Files with relevant documentation are provided to each group — with some key items held back to see if it they are requested. Our five expert actors portray the witnesses, raising vital issues and confronting the investigators with the full array of typical investigative challenges. Attorneys observe, coach, guide, and instruct. On the third day, each group submits a report with recommended remedial action, and one member of each group must defend their report in a mock trial at the end. This kind of experience can achieve extraordinary levels of engagement and retention and create mental muscle memory to apply the learning on the front lines. The construct we created for the investigation course has been a vehicle for intense engagement on numerous other topics in many venues over the years. In the health care arena, we provide the experience in collaboration with super dynamic attorney, Carlo Coppo of Nossaman LLP. Imagine this: you’re attending the CAMSS (California Association of Medical Staff Services) annual conference. You grab a seat in the packed breakout session on Disruptive Physician Behavior. Half way through the program, a clearly distressed woman stands up in the audience. She is in scrubs, says she is the Operating Room Supervisor at her hospital, and asks if she can speak. She says what the attorney is describing is exactly what’s happening at her hospital, starts telling the group about an incident with a physician the day before, then says “… You know, rather than me telling you about it, let’s re-wind the clock to yesterday so you can see for yourself….” At that moment, an angry man in a lab coat, the physician she referred to, comes out of the audience and confronts her in a hostile and aggressive manner. In the scene that unfolds between them, we learn that the physician threatened and harassed the OR staff, sent a tray of sharp instruments flying, and stormed out of the ER with a patient waiting. He feels justified because of perceived disrespect. He indicates he is under tremendous pressure from his workload. We learn it’s not the first time he has exploded. There has been harassment, and misogynistic and racially offensive rants and comments. His conduct was reported, but he is a top admitter and nothing was done. When the nurse tells him she must report the conduct to the Chief of Staff, the doctor laughs it off, demeans her, and threatens reprisal. The nurse turns to the audience for input, and interactive discussion flows like a river in spring. While this gripping format has been part of our signature methodology for more than two decades, it has never resonated more intensely than today. We performed this last year at the CAMSS conference on June 2. Fast forward less than a month to June 30 at Bronx Lebanon Hospital at 2:45 pm. That’s when an actual doctor, “allowed” to resign in 2015 amid sexual harassment allegations, walked into the hospital with an AR-15 assault rifle concealed in his lab coat, shot and killed another doctor, and injured six others. He was described as aggressive, talking loudly, and threatening people. It was our scene played out to where you never want it to go. It brought home in stark terms how crucial meaningful, impactful training is to a safe and harmonious workplace. 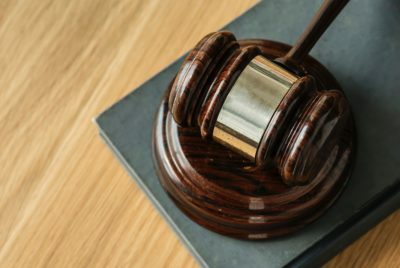 This is our core training, which we have delivered all across the legal landscape, including for numerous firms, State and County Bars, Inns of Court, Federal Defenders, the U.S. Court of Appeals for Veteran Affairs, and the National Center for State Courts. In a highly interactive opening segment, we lay out key information regarding quid pro quo and hostile environment harassment (verbal, visual, and physical), state and federal law, protected classes (now including gender identity and expression in many states), complaint procedure, supervisor responsibility, and liability. Exercises with attendees bring to life the underlying concepts of intent vs. impact, and welcome vs. consenting. These are vital distinctions. Harassment by outside third parties, such as clients. Unlike most industries — notwithstanding entertainment and media where we have many clients — legal professionals may be exposed to materials or conduct that can reasonably be considered offensive as part of their work. It’s important to remember that harassment is conduct not necessary for job performance and that definition changes depending on the workplace. It’s also important to understand that the workplace is anywhere work-related activity takes place. 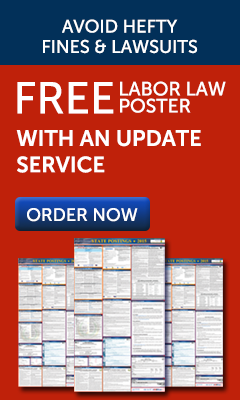 Much off-site work-related activity is required for legal professionals. Sometimes it might not feel like the workplace, but it is. Also, for members of management, anywhere employees of the firm are present must be considered the workplace, even if it is a purely social encounter. When there is not equal power or authority, social situations where something inappropriate occurs can continue to resonate in the work environment. Harassment by outside third parties, such as clients, is a vital and sensitive area for law firms. How about that prominent six-figure client who engages in sexual teasing or banter, tells off-color jokes, or wants someone younger, or more attractive, or of another gender, race, or ethnicity? Unless management truly understands their legal obligations in such circumstances — the need to take immediate and appropriate action and what that action is — there can be substantial risk for the firm. We make sure everyone knows the rules of that road. Now, speaking of risk.… often the last of the three episodes we perform in our harassment training explores workplace romance and the ominous specter of favoritism. Romance between coworkers with equal power and authority is never advisable for many reasons, but it doesn’t have to be toxic if things stay professional at work. Conversely, romance between a member of management and an employee, regardless of whether there is a direct reporting relationship, is fraught with peril and to be avoided at all costs. We like to leave our learners with a cautionary tale on that note. Following is an abbreviated version of the scene. The setting is a bar and grill. The characters: David, a partner (or manager), and Sheila, an employee. Sheila doesn’t report to David; she works for Stan, David’s best friend at the firm. Sheila and David have been an “item” for the past six months. She’s at a table waiting for him. DAVID: Hey, sorry I’m late. Have you been here long? SHEILA: Long enough to have a Long Island ice tea. At least there’s an upside. DAVID: You want another one? SHEILA: Sure. You’ll have one too, right? DAVID: No, I’ve actually got a meeting after this. SHEILA: Are you okay? You seem stressed. DAVID: I am. Very stressed, actually. SHEILA: What can I do to put a smile on that handsome face? DAVID: I wish it were that simple. SHEILA: What’s so complicated? Oh, speaking of complications, you need to call your buddy, Stan. There’s a glitch about me going to the conference with you next month. SHEILA: This morning, Stan gave me the list of who’s going so I can set up the travel. My name wasn’t on it. The only support person going is Bambi. DAVID. Did you talk to Stan about it? SHEILA: Yes! He went into a song and dance about the budget — how it looks like favoritism because I went to New York and San Francisco with you. Anyway, I said you needed me there, for staff support, and you’d call him…. DAVID: Why did you do that? He knows I don’t need “staff support.” Why not just send out an email letting everyone know we’re sleeping together? I can’t believe you did that. SHEILA: Honey, I’m sorry. I thought it was just as important to you as it was to me. Besides, everyone knows we’re sleeping together. The rumor mill’s the most efficient system in this place! Stan’s assistant even posted a picture of us on Facebook. SHEILA: I thought you knew. Anyway, will you call him? DAVID: Sheila, we need to talk about something. DAVID: Listen to me. This morning, I’m in the men’s room. In the stall. Two of the managing partners come in. They don’t know I’m there, right? I lift my feet up. They start talking about this married partner who’s screwing up bad, overstepping his authority, getting perks for an employee who’s got him by the … whatever. I’m thinking, “Who could this idiot be?” Then they said his name. SHEILA: Oh my gosh, who was it? DAVID: Who was it? It was me! Listen, Sheila … please don’t be upset. We’ve got to stop. SHEILA: (stunned) Whoa, whoa. Time out. Hold on. You don’t mean that. I know you don’t. DAVID: Don’t tell me what I mean. We agreed if things got uncomfortable — for either of us — we’d call it quits as friends. No questions, no anger, no bitterness. Remember? SHEILA: (upset) Yeah, I remember. Actually, I’ve been expecting this. I’m too old for you, right? SHEILA: (very upset) OK, let’s see — you care about me. I’m attractive enough. I’m not too old. But you’re calling it quits? Uh uh, David. I know you too well. You’ve got the hots for that little … Bambi, don’t you? DAVID: Look, Sheila, things are out of control. I cashed in favors with Stan to get you that window workstation everyone wanted, the merit increase, the trips. Stan took a lot of heat over it. Now you want me to call him about another conference? Stan’s your boss. It’s his decision. My credibility’s turned to crap. What happens when another employee, man or woman, runs into HR and complains about what or who you have to do to get job benefits and points right at me? That’s harassment, Sheila. It’s all over the news. I’m not going out like that. SHEILA: David, please listen to me. I love you. I didn’t get involved for the perks! I swear! You’re all I want! I honestly didn’t know I was causing problems. I’ll never ask for anything again. So, the problem’s solved! SHEILA: (tearful) What are you talking about? You think we can act like you’re just another partner and I’m just another employee after what we’ve been to each other? DAVID: I know I can. I mean it’ll be tough … but you know … we have to. What choice do we have? SHEILA: (breaking down) I don’t know. I don’t think I can see you in the parking lot, stand next to you in the elevator, watch you put your moves on someone else. I trusted you with my heart, my feelings. Now you’re throwing me away like trash. Do you know how humiliating this is? I don’t think I can go back. I need to look at my options. DAVID: Of course you’re going back. What are you talking about — “options”? There’s only one option: get past this and get on with our lives. What do you mean, “options”? SHEILA: I don’t know. I’m confused. Feeling a lot of … what do you call it? …. emotional distress. I never really wanted to get involved with you. I only did it because you’re my boss’s best friend and I was afraid to say no. I need to talk to someone. Get some advice, support. Maybe human resources. Maybe Gloria Allred. DAVID: (to audience) OK, everyone. Group hug! What did I do? What should I do now? Engagement. Attendees must be compelled from the get-go to tune in and open up to what’s being offered. Interactivity and scenarios for discussion are great tools for engagement. Impact. Training needs to hit home on a personal level and make a powerful statement about the importance and relevance of the learning. Internalization. There must be sufficient depth for learners to chew on the information, digest it, engage in critical introspection, and synthesize key concepts in the context of their own lives in order to become enlightened as well as educated. Retention. Better retention of learning is achieved through engagement, impact and internalization, and resulting enlightenment. Powerful images and interactions will be recalled and inform learners during real life incidents. Application of knowledge. When learners are engaged and impacted, information is internalized, and enlightenment occurs, the content becomes part of participants’ thinking and actions. Shall we end this serious exploration on a lighter note? Let’s do! A while ago, a prominent attorney with whom we often collaborated was heading up the California State Bar Employment and Labor Law Section and wanted to bring some fun to the annual meeting. We introduced a character named Nick Dicta, the Singing Judge, who brought a legal dimension to some iconic hits by The Eagles. This one is to the tune of “Lyin’ Eyes.” Feel free to sing along! Dissing ain’t no trespass at Intel. Kit Goldman is a senior consultant for Wolf Management Consultants, LLC. She is a nationally acclaimed trainer, facilitator, and subject matter expert — and professional actor — who has enlightened audiences totaling more than 800,000 professionals on human and legal issues in the workplace. Her firm’s unique “edutainment” methodology harnesses the power of entertainment to enlighten and educate on dozens of workplace topics, and achieves unsurpassed levels of engagement and retention.